SCENE 1, introduced the idea of scenes and its basic elements. Here, we want to break it down even more into elements that you can use. Scenes are made up of Actions, Thoughts, Dialogue and Emotions. 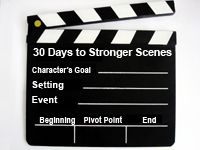 In every scene, a character has external goals and internal goals. External goals might be something like getting a cup of coffee to drink, while the accompanying internal goal is getting to talk with the pretty barista one more time. These goals can be expressed through actions, thoughts, dialogue or emotion, usually all four. Each scene has a structure.beginning, middle, end. This implies that some event is happening. It may be walking inside a house, or it may be a scene where a character finds out something important. Sometimes, you even want to make a distinction between the external and internal: the scene takes place in the stands of a football game, but it’s really about discovering the villain’s real name. 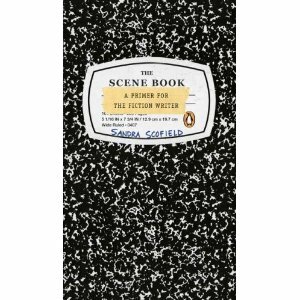 in The Scene Book, Sandra Scofield, uses two terms, the occasion and the event. Here, the Occasion is watching the football game; the Event is finding out the villain’s real name. In other words, the Occasion is the external circumstances; the Event is the actions that directly relate to your plot. Scenes open in various ways, but the goal of an opening is to hook the reader, just as you would in the opening chapter. The middle involves obstacles and complications to the goal, and the end is usually a disaster. Somewhere, there’s a pivot point, a place where the action speeds up, changes direction, or twists off in a tangent. Things don’t go as expected. It may be just deepening of tension or emotion. Pulse. Sandra Scofield says there’s a pulse to every scene. For me, it’s the subtext that is happening. Two characters talk but that means nothing without understanding the characters and situation. When we understand the underlying issues, we know that the conversation may be about eating apples or oranges, but really, it’s a quarrel between lovers; or it’s between a husband and wife and is really about who has control of the family budget; or it’s between a grocer and stock boy and is really about job expectation and job performance. In well told stories, often the underlying issues (control of the family budget) isn’t stated explicitly. That’s good: remember the adage to Show-Don’t-Tell. Talking about fruit is a good way to SHOW the strain in a marriage over the divisive issue of money. Scofield, then, says to search for the subtext in every scene. What are the characters fighting for? What do they long for? How can you subtly add this to the scene? 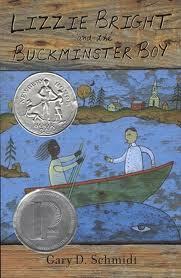 Several short scenes build up to the longest scene in which Turner meets Lizzie Bright, a black girl, and they become instant friends, something that will cause trouble throughout the rest of the story. Notice that Turner is at the center of each scene and each scene contains conflict, both big and small. For example, when Turner meets Lizzie Bright, he is throwing stones. She calls to him and in his surprise, his last stone is thrown overhead and comes down and hits his nose. It bleeds and a bloody shirt will get him in more trouble with the minister. In his pain, Turner refuses to answer Lizzie Bright’s questions, so she thinks he is an idiot. Besides the overall problem of not liking Maine and befriending the wrong person, Turner has smaller conflicts within the scene itself. Or, watch this previous post on the elements of a scene. I am about 1/2 way through this book – good recommendation! Funnily enough, I just heard a woman from Second City speak on comic scenes (“don’t call them sketches!”). She spoke of that turning point too – this is an eye-opening concept to me! Turning point, pivot point–whichever way you call it, I find it a useful concept, too.